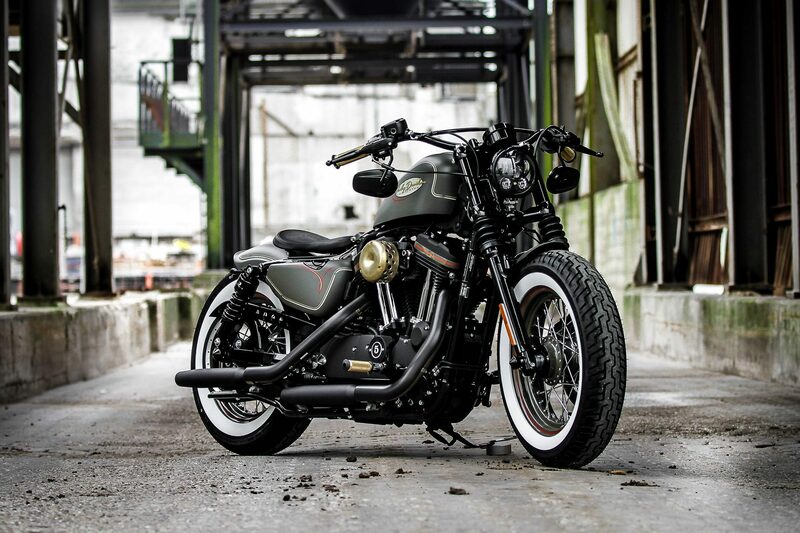 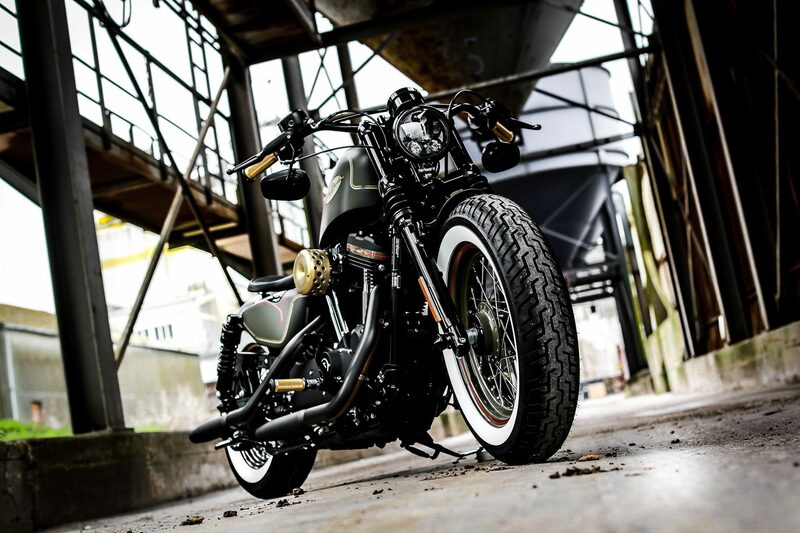 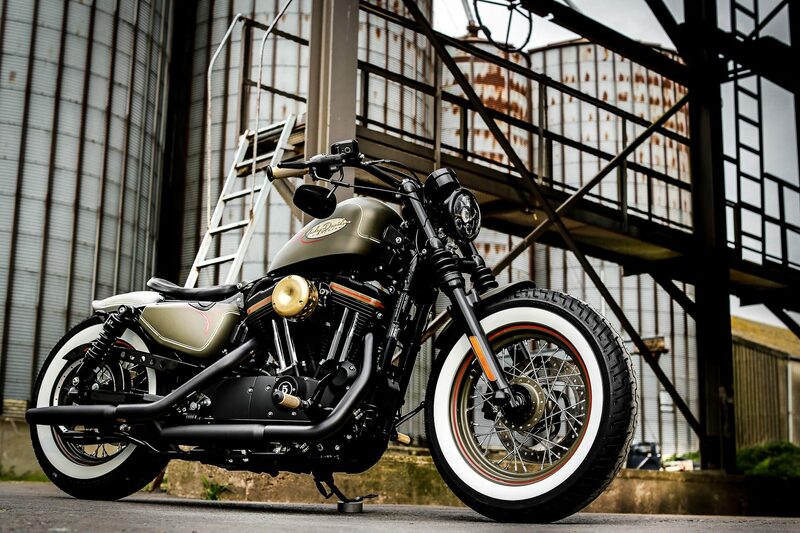 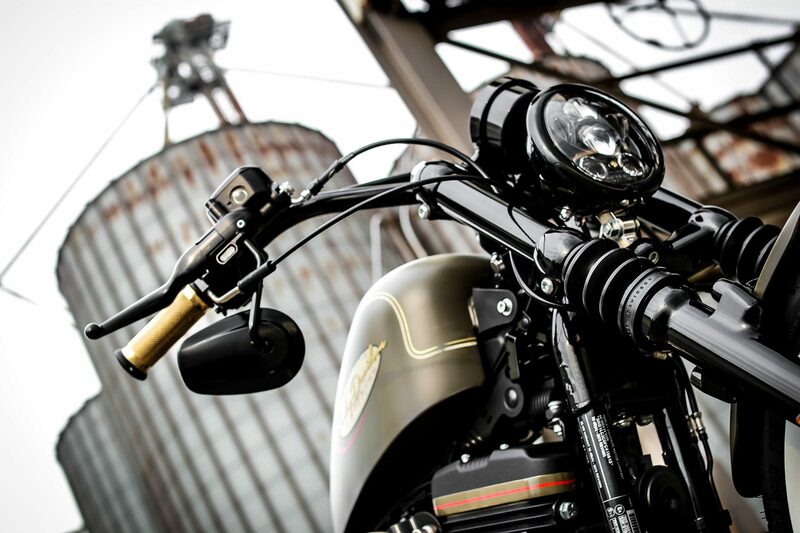 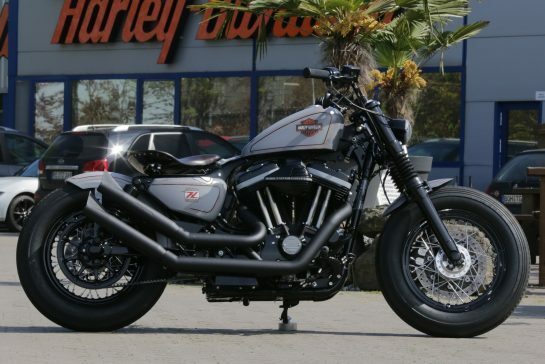 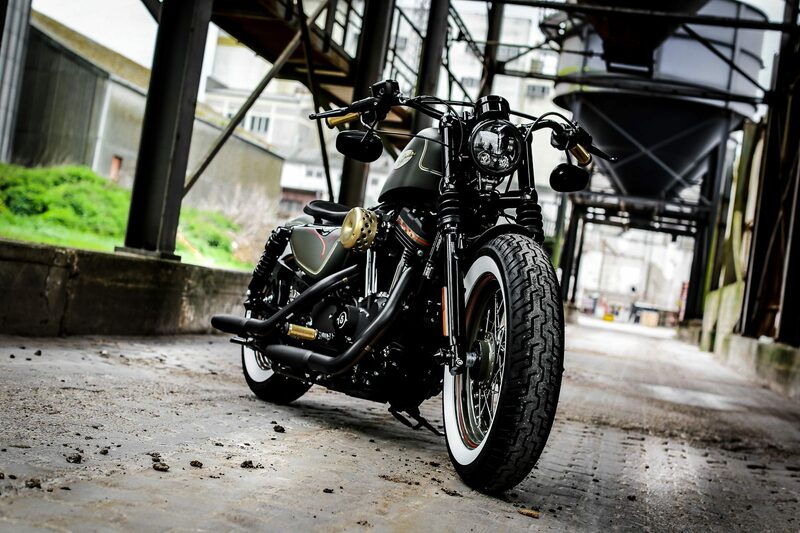 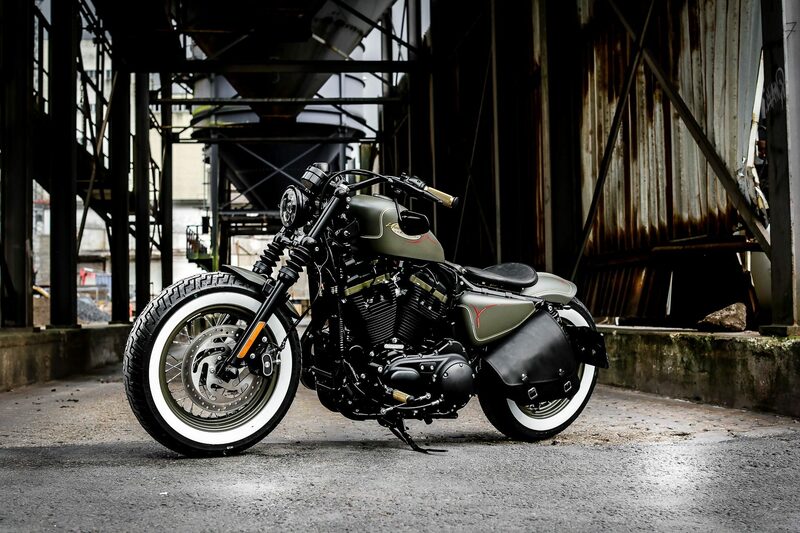 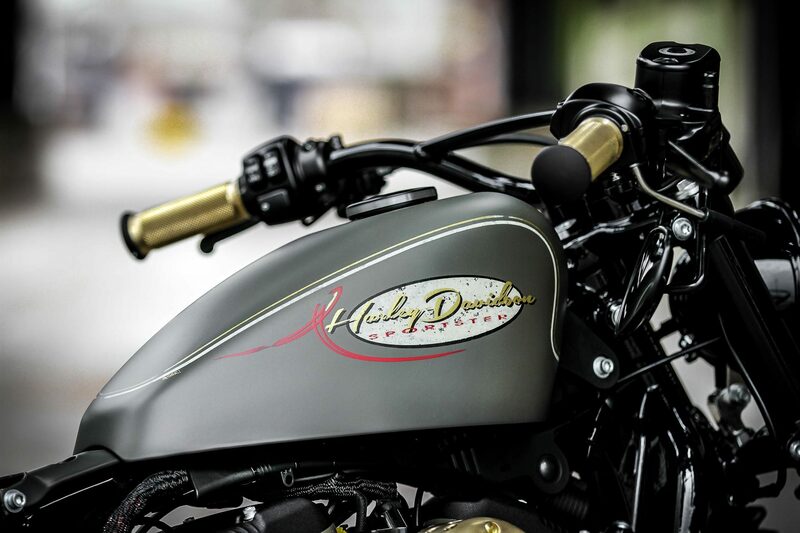 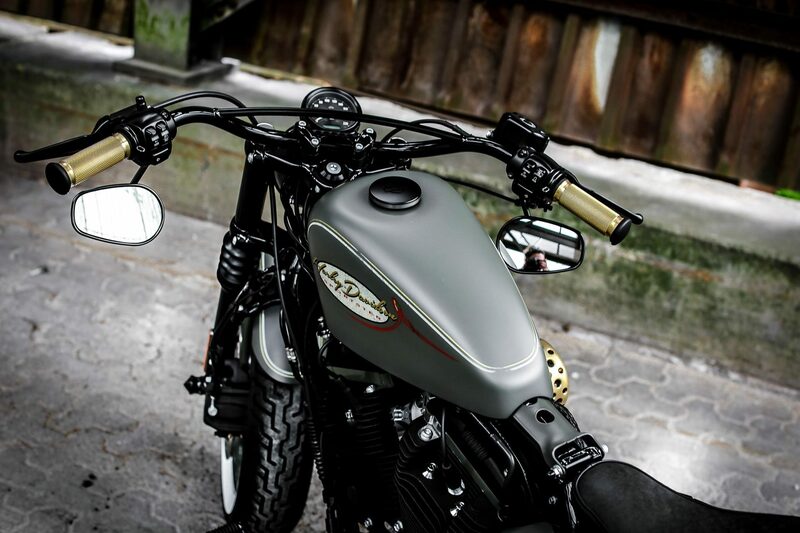 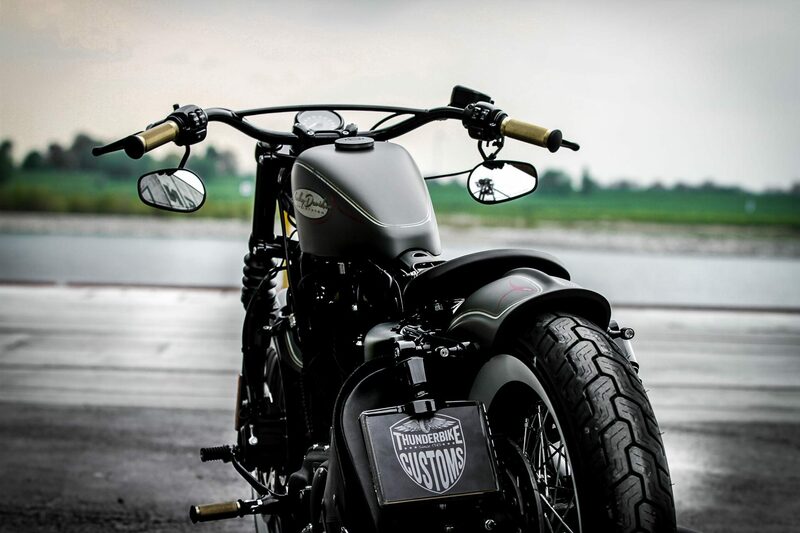 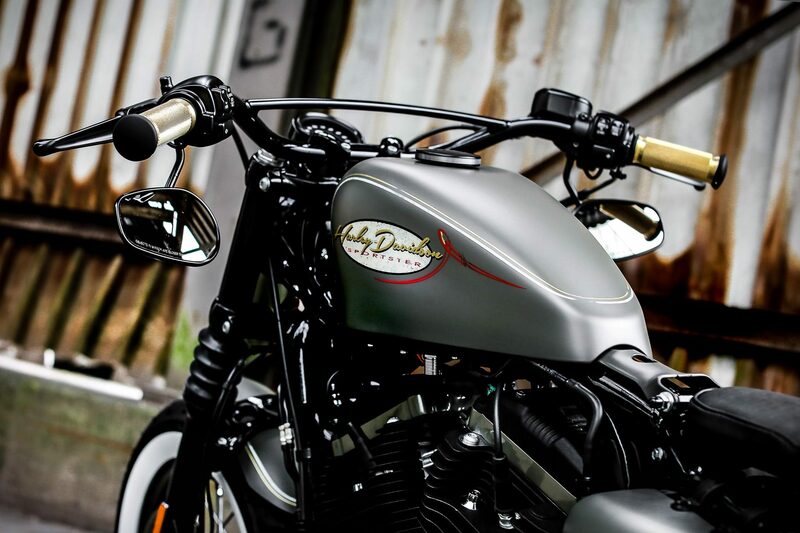 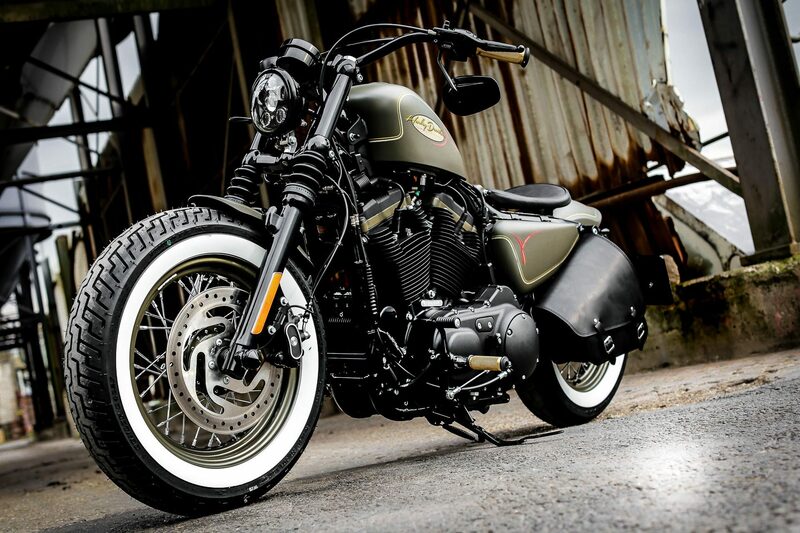 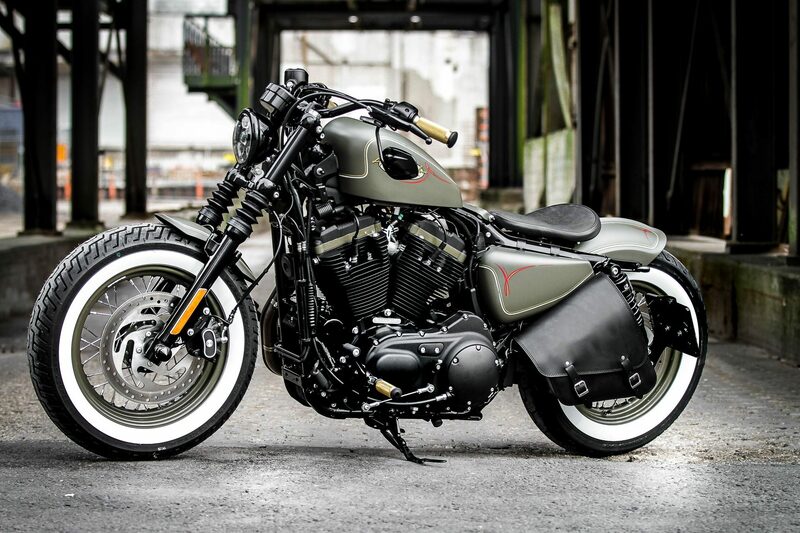 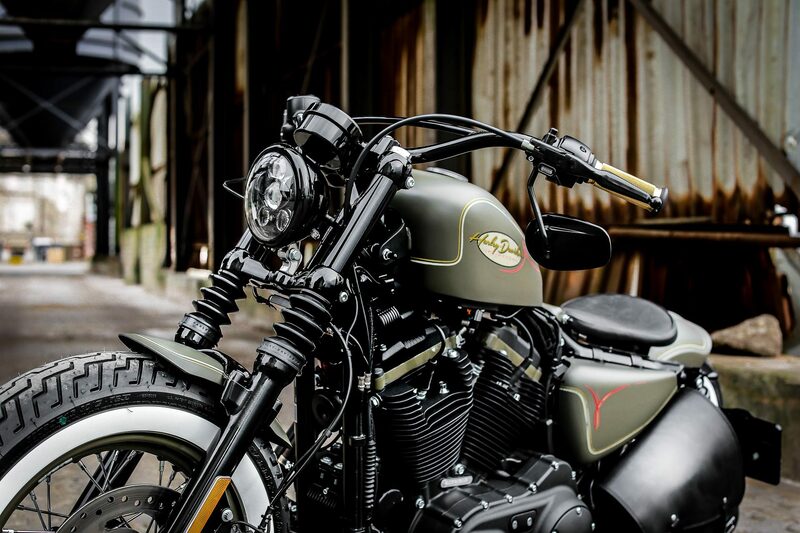 The already classic Forty-Eight has been transformed by us into a Sportster old school bobber, which is guaranteed to draw the eye. 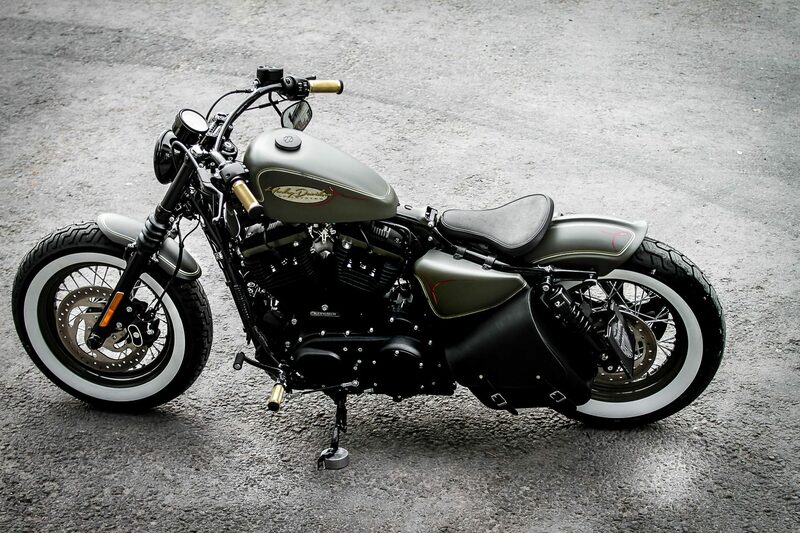 In addition to the green military painting, we decided to use whitewall tires that complete the vintage look perfectly. 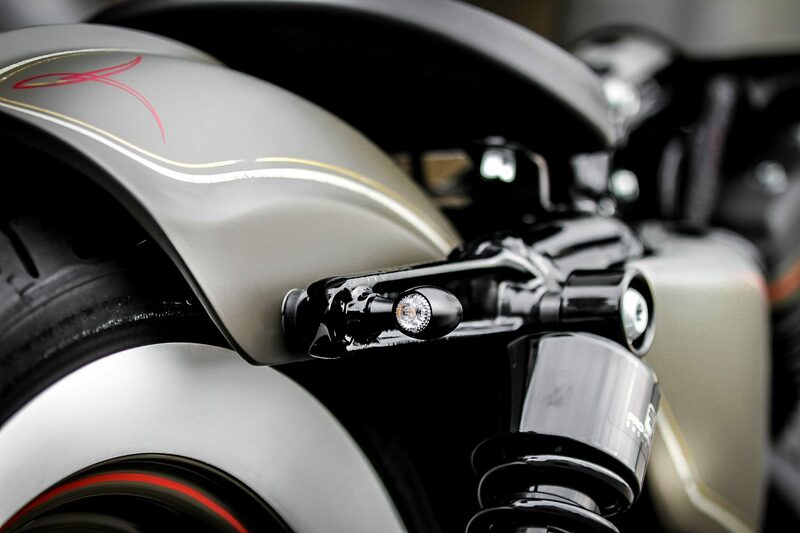 With its spoke wheels the pre-model of the XL1200 was taken as the basis. 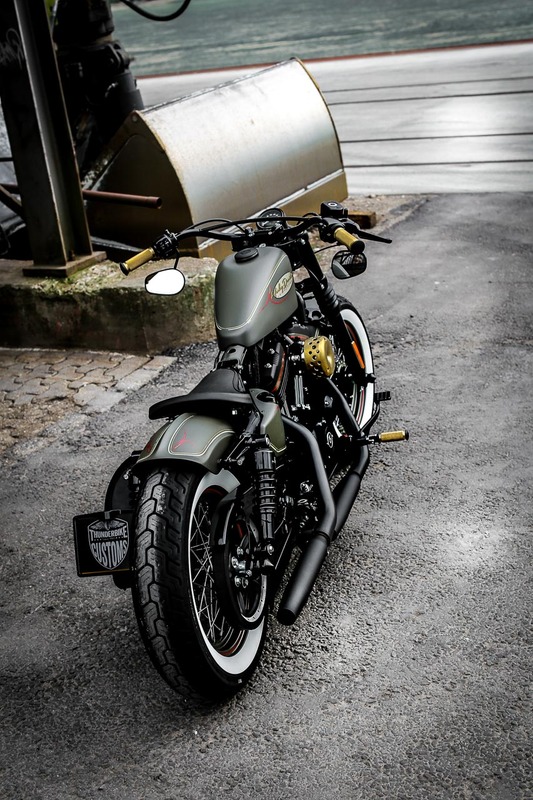 We know that this rear fender is a true stylistic incongruity but we wanted this bike to be home in the woods, without taking the driver’s sight. 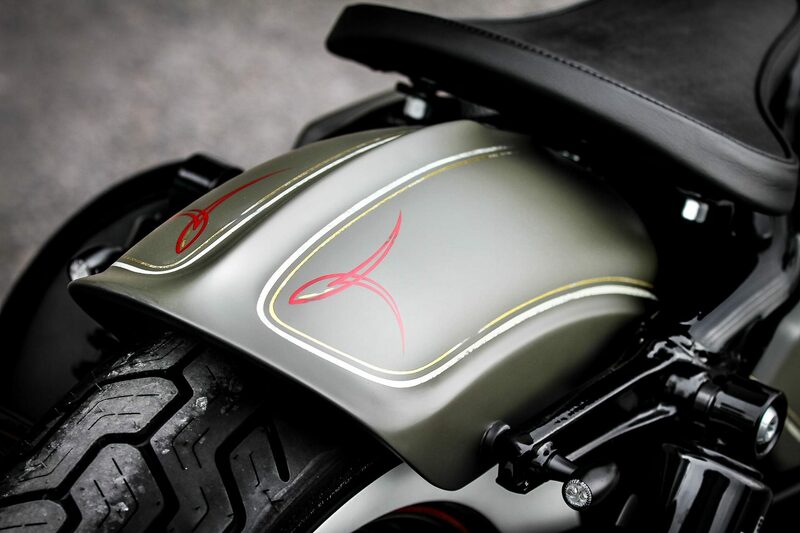 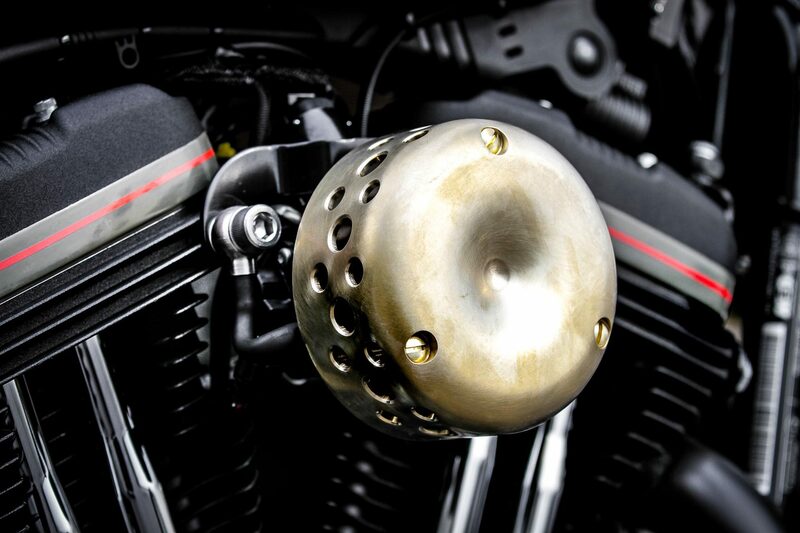 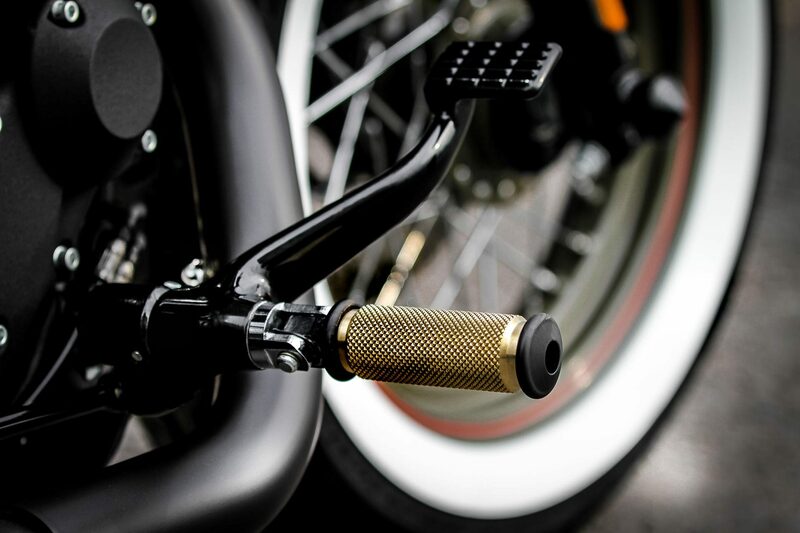 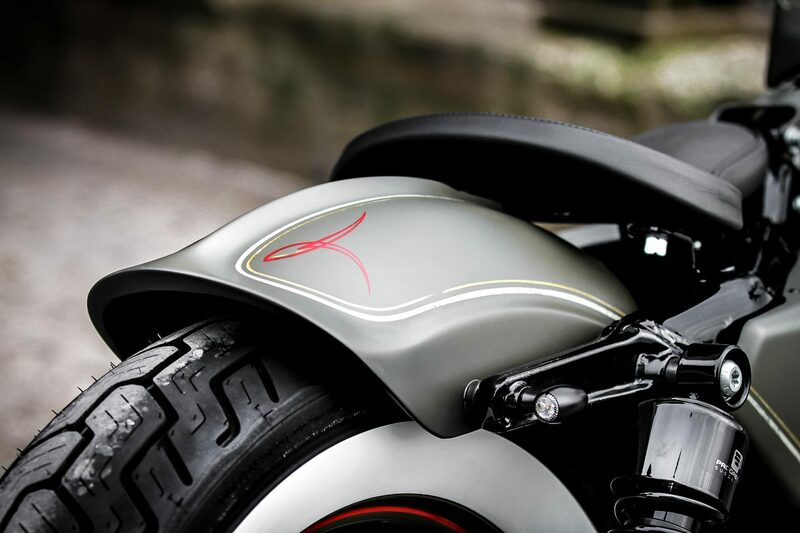 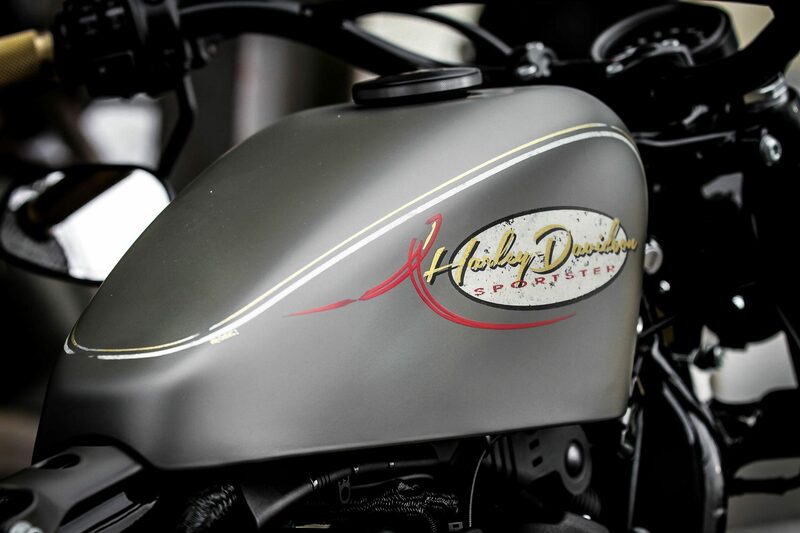 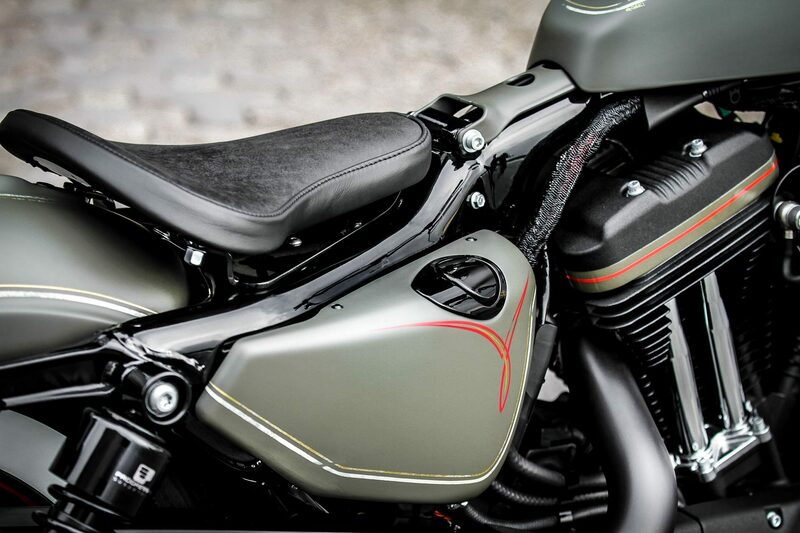 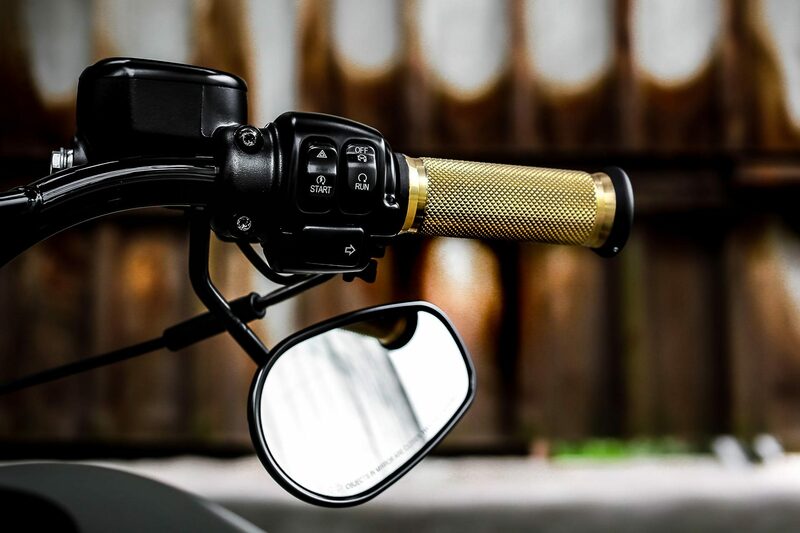 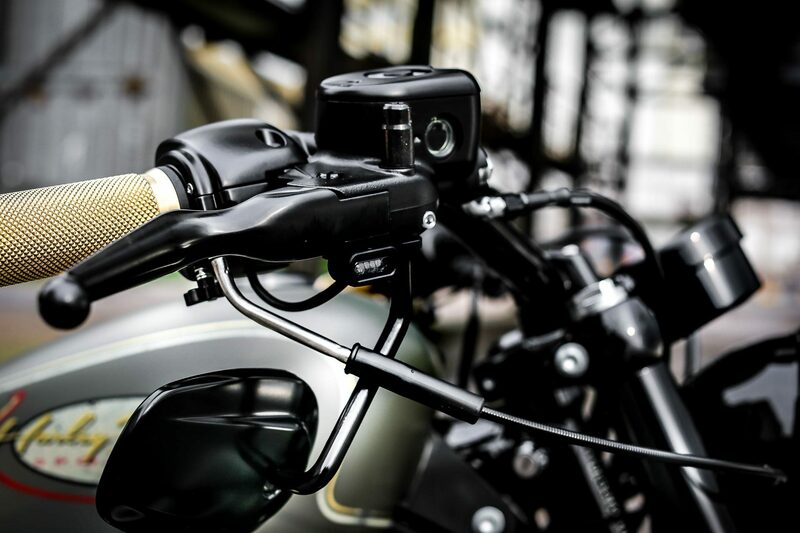 The custom parts used such as fender, seat, air filter and other attachments are completely from our current range and are available as usual online.